“Just imagine the next recession comes. Oh my God! It’s going to be interesting,” Jones said. 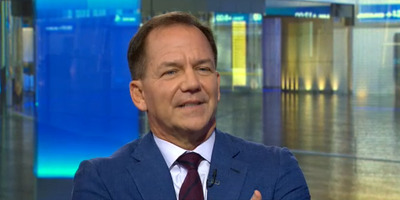 Monetary and fiscal policy is unsustainable and the next recession will be “really frightening,” legendary US investor and hedge fund manager, Paul Tudor Jones, told Goldman Sachs CEO Lloyd Blankfein in an interview on Monday. “I don’t think monetary policy is sustainable, and clearly fiscal policy – are you kidding me? !,” said Jones. Jones called for a return to normality, causing assets to gradually reduce in value. The alternative he said would be a “frightening” sharp collapse. He said government would struggle to control a recession today because it’s already using the fiscal tools it has available to manage the current economy so there would be few reserve actions left. Jones is a billionaire investor, hedge fund manager and philanthropist estimated to have a net worth of $US4.7 billion by Forbes. The June 18 interview can be found here.